To be a globally recognized technical and socio-eco friendly organization that provides world class value added services to its customers. Surpassing our customer expectation at most competitive price employing state of the art technology facilities. Complying with globally accepted standards and practices. Promoting the global acceptance and competitiveness of its services with annual growth rate of 20%. 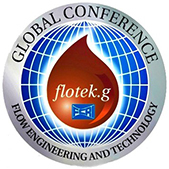 Increasing awareness and facilitating knowledge transfer of flow fraternity worldwide. Pursuing consistent organizational and technical excellence and striving relentlessly, to continuously improve ourselves, our teams, our services and products. Ensuring aesthetic and performance enhancing working environment. Enhancing safety and health of all employees by tending to zero incidents/accidents. Being part in various means and ways within our framework for matters and causes of social relevance and public welfare.